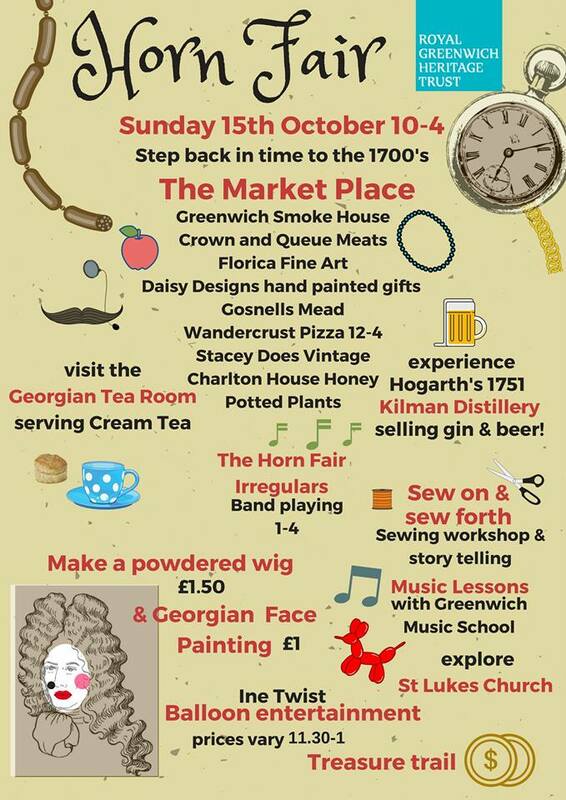 Charlton House hosts its Horn Fair on Sunday 15 October from 10am to 4pm. It might not be the riotous, drunken event of Horn Fairs past, but it does promise a range of family-friendly activities, cream teas, market stalls, children’s music lessons, and “Hogarth’s 1751 pub selling gin and beer” – plus live music and balloon entertainment. There’s a Facebook event for the Horn Fair here, and you can follow Charlton House on Twitter here.